This versatile counter depth size works just as well in a new kitchen design or with existing cabinetry. The cooktop has four burners including a dual-ring power burner of up to 19,000 Btu with separately controlled flames. 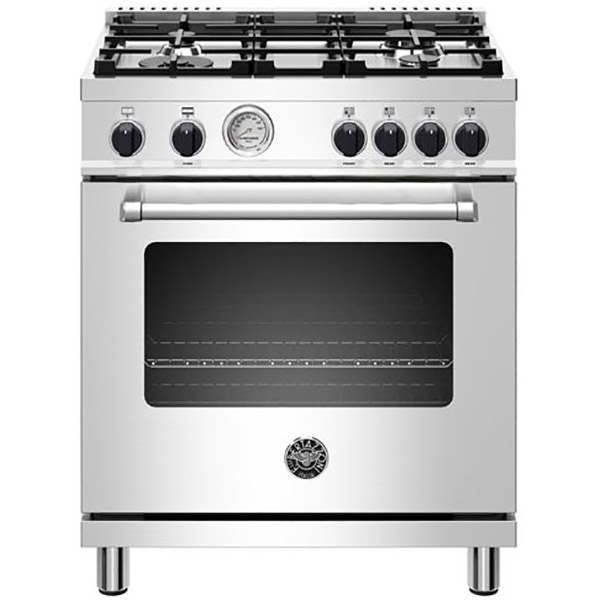 The elegant gauge ensures precise control of the oven temperature during pre-heating roasting, broiling and baking. This range includes a gas conversion kit for LP.